Cessna, Piper, Vertical Speed Indicator. Manufactured By Kollsman. Very clean item. 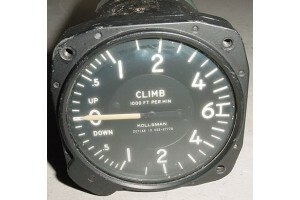 Removed from salvage aircraft.